Can I Legally Possess A Machine Gun In California? Technically, yes but practically speaking, no. Not only must the machine gun be properly registered with the ATF, a permit or license from the California Department of Justice is also required. However, the California Code of Regulations limit issuance to persons or companies who either manufacture or sell machine guns to law enforcement agencies or the military, or, provide machine guns as props for motion picture or television productions. Obtaining a California machine gun license or permit is very difficult and the various requirements include a background check and that the applicant demonstrate, by "clear and convincing evidence" that there is a bona fide market or public necessity sufficient to justify issuance. Each year to renew, you must demonstrate that you are actually operating a business. Are Machine Gun Violations Serious Offenses? YES! You can be prosecuted in Federal or California court. The base offense level in Federal Court is a level 18 which means a base recommended sentencing range of 27 to 33 months. Under California law, simple possession can be charged as either a misdemeanor (rare and misdemeanor conviction results in a 10-year California firearm prohibition) or as a felony punishable by up to three years in state prison. Under California law, making or selling a machine gun, or converting a firearm into a machine gun, is much more serious; this is a felony punishable by up to eight years in state prison. When Can I Use a Firearm for Self-Defense in California? The simple answer is in a situation where a reasonable person has a reasonable fear they or another person are about to suffer death or great bodily harm.• The decision to use deadly force, even to merely expose your firearm, is extremely important.• If your decision is wrong, you may end up dead, gravely injured, a criminal defendant and be sued for money damages. Be certain that you need to shoot, yet at the same time protect yourself; if you can safely resolve the situation without introducing a firearm, do it. What if I Actually Have to Shoot Someone in Self-Defense? Don't panic, remain calm.• If no else calls 911, you may call and say something to the effect of, "There's been a shooting at (address).• Send an ambulance. "• Give the 911 operator your physical description, tell them what you are wearing and where you will be when the police arrive.• Ask for the ambulance even if you are certain the perpetrator is dead.• Remember all 911 calls are recorded and don't say anything that you would not want to be played for a jury. Then call our office. When the police arrive, it is usually best to say only "I am invoking my Fifth Amendment right to remain silent and I want to speak with an attorney." Remember that you will be upset, extremely vulnerable, both emotionally and legally, and, the spoken word is like toothpaste; once it comes out, it doesn't go back in. 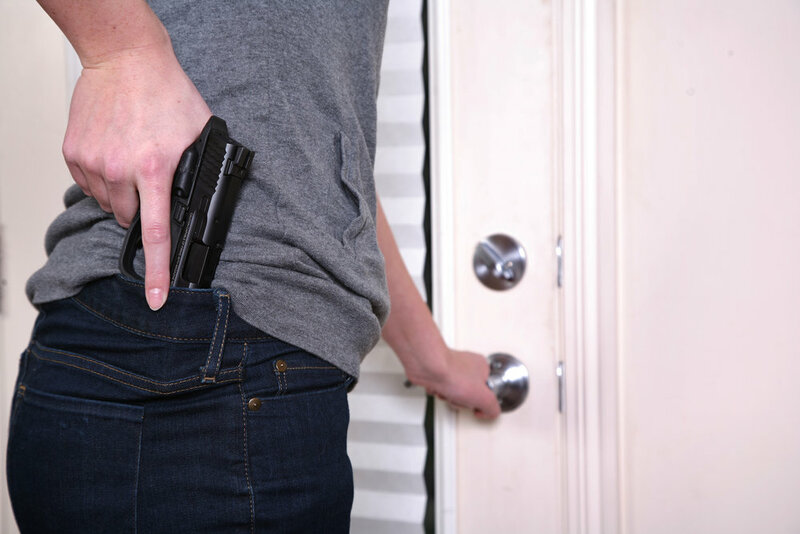 Will My Self-Defense Use of Firearms Result in Criminal Charges? It depends on the facts and circumstances of the incident.• If the investigating officers feel that your self-defense use of firearms may have been unlawful, you will likely be arrested and the police will submit their report to the District Attorney for review.• You may then be charged with violations ranging from misdemeanor brandishing a firearm to felony homicide.• Also, there have been criminal prosecutions in California where the defendant lawfully used a firearm for self-defense but was then charged with carrying without a CCW license. Will I be Sued if I Use a Firearm in Self-Defense? If you shoot injuring or killing someone, it is likely that you will be sued either by the criminal if he survives or by their family if they die.• If you have homeowners or renters insurance, be aware that your insurance company may try to avoid their obligation to defend you and pay money damages awarded against you by relying on the policy exclusions for criminal acts.• If you shoot someone in self-defense, you should immediately consult our law office in the event that you need to be defended against criminal charges and/or you may need an attorney to defend you against a civil lawsuit seeking money damages from you. Is There a Special Law That Applies if I Shoot an Intruder in my Residence? California Penal Code § 198.5 Presumption in favor of one who uses deadly force against intruder – "Any person using force intended or likely to cause death or great bodily injury within his or her residence shall be presumed to have held a reasonable fear of imminent peril of death or great bodily injury to self, family, or a member of the household when that force is used against another person, not a member of the family or household, who unlawfully and forcibly enters or has unlawfully and forcibly entered the residence and the person using the force knew or had reason to believe that an unlawful and forcible entry occurred.• As used in this section, great bodily injury means a significant or substantial physical injury." Penal Code § 198.5 is a rebuttable presumption.• For example, if the non-household member intruder surrenders, turns around and then you shoot him in the back, expect the prosecuting attorney to offer evidence to rebut the initial presumption that your use of deadly force was lawful and reasonable. Will I Be Taken To Jail If I Am Caught Carrying Without A CCW License? That depends on many factors such as whether you have a prior criminal record, what law enforcement agency apprehended you, whether the handgun was listed in your name in the California AFS (Automated Firearms Systems), etc. In looking at those cases I have had in my law office, it appears that approximately 50% resulted in the issuance of a traffic ticket style citation to appear while the remaining 50% resulted in a traditional arrest result with the suspect being booked into a jail facility. If I am Caught Carrying Without A CCW License, Will I Get A Warning? It is possible, but I certainly wouldn't count on it. Consider that it is the people who get caught and arrested or issued citation to appear in court that call my law office, not those who may have been let go with a warning. I will mention that, time and time again, a new client has told me a story to the effect of, "I told the officer about my gun as soon as I was I stopped. I was cooperative and honest but he arrested me anyway." What Are The Penalties For Carrying Without A CCW License? Depending upon the circumstances, you can be charged with either misdemeanor or felony violations. If you are charged only with misdemeanor offenses, the maximum penalties are one year in the county jail and/or a $1,000 fine. Certain circumstances (for example, a prior conviction) can result in imposition of a three month minimum jail sentence. If you are charged with a felony offense, the maximum penalty is three years in state prison. Even if only misdemeanor charges are filed, conviction may subject you to up to three years of probation with conditions prohibiting you from possessing firearms and subjecting you to search on demand. Can And How Do I Obtain A CCW License In California? According to the California Penal Code, the Sheriff of the county in which you reside may issue you a CCW license upon a showing of good cause. If you reside in a city that has its own police department, the Chief also has the authority to issue you a CCW. Unless you are a judicial officer or retired law enforcement, the term is two years. Current California law requires new applicants to complete at least 16 hours of approved training and renewal applicants must complete at least four hours of approved training. 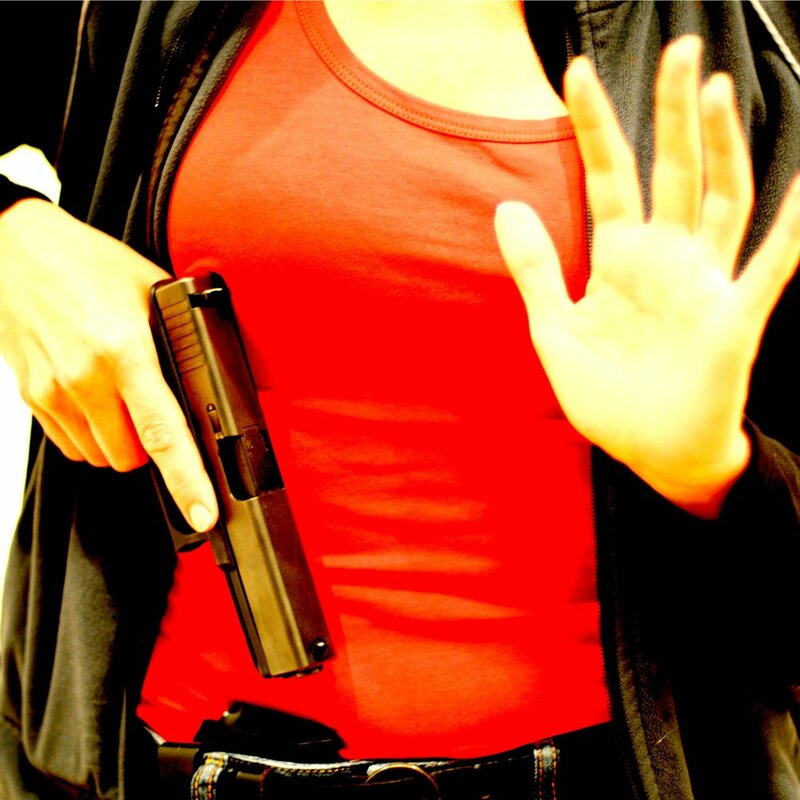 If I Am Denied A CCW What Are My Remedies? Under current California law, local law enforcement is afforded great discretion whether or not to issue a CCW license. Thus, issuance policies vary greatly throughout the State. If you are denied by the law enforcement agency, there is no statutory appeal process so you must proceed to court. You will either have to hire an attorney or represent yourself. Some court cases arising out of CCW license denial have lasted for years and generated attorney's fees well into the six-figure range. Is A CCW License From Another State Recognized in California?